Named one of the five best dance studios in Miami (2015) by the Miami New Times! Experience the elegant world of Middle Eastern dance (also known as Belly Dance) with any one of our award-winning instructors. Many courses are available within our Middle Eastern Dance and Arts Cultural Program at Miami-Dade College's Kendall Campus. Our school provides you with elegant and captivating performances year after year. Our professional dance troupe and instructors are available to make your events an unforgettable experience! For over 15 years, Mid East Performing Arts Academy has brought elegant and authentic Middle Eastern dance to South Florida. 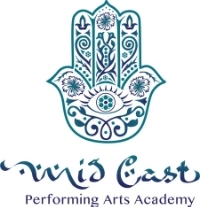 By providing sophisticated, professional, and award-winning instructors and performers, Mid East Performing Arts Academy has become synonymous with professionalism and quality. We pride ourselves in teaching dancers the most diverse Middle Eastern and Central Asian dance styles. Our school provides you with patient, fun, and challenging classes to push you to the next level, along with elegant and captivating performances year after year!